Story: Emily Rose leaves her sheltered rural home to attend college with no possible inkling of what awaits her. Alone in the dorm one night, she has her first terrifying "hallucination" and blackout. 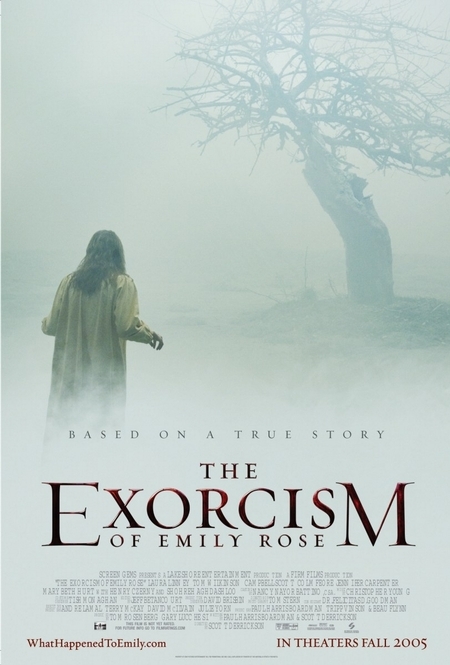 As her attacks become ever more frequent and severe, Emily, a devout Catholic, chooses to undergo an exorcism conducted by her parish priest, Father Richard Moore. When the young girl dies during the terrifying exorcism the priest is charged with negligent homicide. Erin Bruner, a high-profile defense lawyer reluctantly agrees to represent Father Moore in exchange for the guarantee of a partnership at her law firm. As the trial progresses, Erin's cynicism and atheism are challenged by Father Moore's unwavering faith and by the eerie, inexplicable events that surround the case.